Flavia is a powerful WooCommerce WordPress theme which you can use to launch professional online shops. 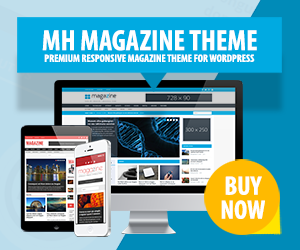 This modern WordPress theme comes with several pre-built hompage layouts that you can take advantage of to create your very own style. To let users interact with your online shop they can create useful wish lists as Flavia comes with a wish list manager included. Show and present your products in the best possible way and let your users zoom in and out of their favored products to easily grasp more details. Flavia further offers a practical mega menu builder which lets you setup attractive mega menus to show your users all those things you have to offer.